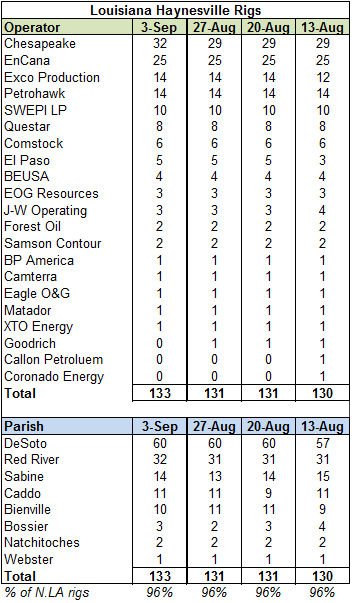 The weekly Haynesville Shale rig count dropped four rigs to come in at 175. 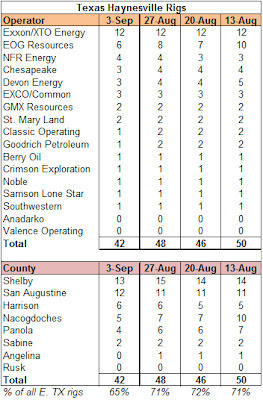 The big drop was in Texas, which lost six rigs to end up at 42. 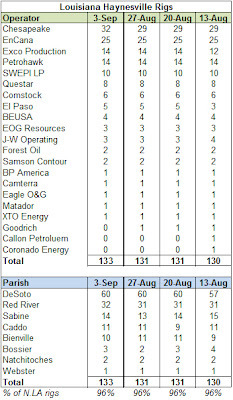 Louisiana added two rigs to end up at 133. It's too soon (from my vantage point) to tell if there is a shift going on here or if it is just a timing thing where lots of rigs are between jobs. 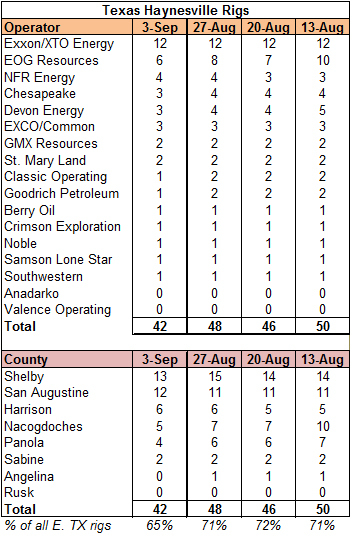 I only counted one rig (a Goodrich rig in Texas) that went from Haynesville to another formation (Cotton Valley in this case). What is the Real Carbon Content of Oil Sands? A Ray of Light from the Legislature? Reliance Looking at Fourth Shale Deal?